Once the primary method of online marketing, e-mail marketing quickly very quickly gained the ubiquitous synonym of ‘spam’. Fair enough – because as most of it was. Before mail platforms were developed to ‘filter’ it out, it was quite common to have to sift through 30 or 40 ‘spam e-mails’ a day, every single one of them trying to sell your something, to get to the ones you wanted to open. This is where personality comes in – because the mails you want to open are usually from people you want to communicate with. 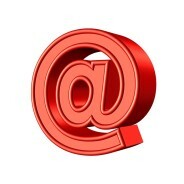 Harnessing this has again made e-mail marketing a powerful and effective arm of online marketing. Even if your mail database consists entirely of customers or potential customers who have signed up for your e-mails, you still need personality to get conversions. What kind of a personality you put across depends on your brand as it has to promote your brand image, but whether it’s fluffy and fun or reserved and conservative, it can always be informal and inviting – and personal. E-mail marketing the one chance you get to talk directly to your customers in a long format (as opposed to tweets or Facebook posts), and done correctly, in the right tone and with the right amount of personalisation and informality it has enormous potential to increase sales. Contact us at WSI OMS for a digital marketing campaign that incorporates e-mail marketing solutions for your brand; that will increase your connection with your customers and maximise conversions.